Chinese witch hazel (Hamamelis mollis) blooming in January in my Seattle garden. The sight and scent of witch hazels (Hamamelis sp.) are among the joys of winter in Seattle. Spidery yellow or red flowers borne on bare branches in January brighten the landscape. As a bonus, the fragrance emanating from those flowers scents the air on all but the windiest days. Botanically speaking, there are two types of witch hazels commonly planted in our area: H. mollis, the Chinese witch hazel, and H. x intermedia, which is a cross between H. mollis and H. japonica. The Chinese witch hazel, which you see pictured above, has clear yellow flowers with reddish sepals. The H. x intermedia group features several named varieties with distinctive characteristics. 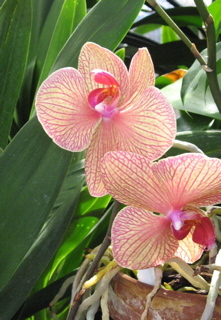 'Diane,' for example, has dark red flowers that fade to orange; 'Arnold Promise' has bright yellow flowers; 'Jelena' has coppery orange flowers. All varieties of witch hazels put on another show in fall. Depending on the cultivar, fall color ranges from yellow, through red, orange, purple and scarlet. Before selecting one for your garden, be sure to do two things: look up the cultivars in the Sunset Western Garden Book for a full description of flower and fall color; and shop for your tree now, when they are in bloom, to be sure you get the color and fragrance you want. I also recommend that you visit the Winter Garden at the Washington Park Arboretum, where you can see mature specimens in bloom now. Witch hazel bark and leaves have long been used medicinally, which you can read more about here. 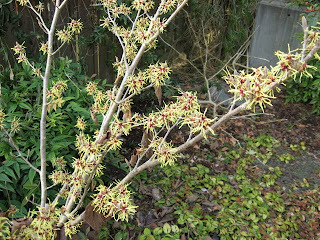 For small gardens, witch hazels are winners. 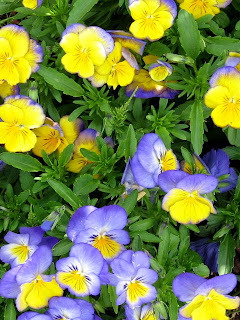 They provide year around beauty and color. They don't get too big - rarely over 15'. (I have two, planted 8 years ago, and the tallest is just over 6'.) They have a pleasing vase shape that requires little, if any, pruning. They don't have any major pest or disease problems that I am aware of. They just offer lots of beauty in a small package. The rain keeps falling and the mud keeps sliding. 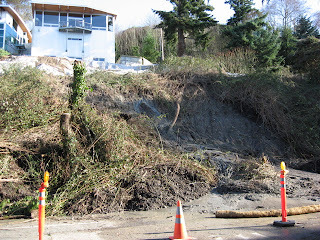 It has been almost a year since I wrote an article for another of my blogs entitled, "Trees and Mudslides." It describes what we learned in Seattle during the mid-90s about what does, and does not, contribute to mudslides. Much of what we discovered observing the aftermath of many, many slides during that time ran completely contrary to what we believed and taught homeowners. Unfortunately, it does not appear that this new information has come to the attention of very many people. So after a slide occurs, when people are upset and emotions are running high, there's a lot of arguing and finger-pointing that goes on about trees on slopes (among other things). Some people are angry because trees have been cut down. Some are angry because none were planted to hold the slope in the first place. However, from what we know now, we can see that planting trees on a particular slope might have been a terrible choice and cutting down existing trees might have kept the slide from being far worse. Sometimes trees help and sometimes they don't. When you have all the information, you'll see that there are no easy answers. If you live in an area on or near a slope, I highly recommend that you read this post. 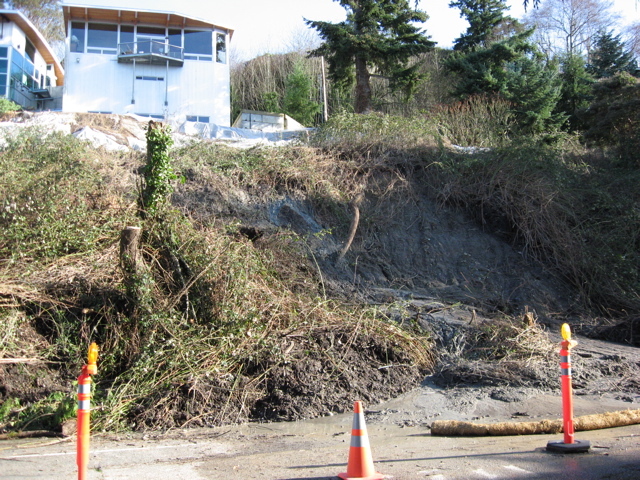 In it you will find links to the USGS survey and reports commissioned by the city of Seattle to investigate the causes of slides that occurred during the winter of 1996-7. Specific areas of the city are described in detail, which you may find very useful if you live in those areas or are considering living there. I just came back from a trip to Southern California, where a friend and I spent part of a day hiking and taking in the sights at Joshua Tree National Park. I grew up in California and have seen a lot of the Golden State, but this was my first visit to this particular park. We entered the park at its southern edge, just off I-10. After driving for miles through typical barren dessert terrain, we began to see, here and there, small specimens of the famous Joshua Trees. They look to me like a cross between a palm and a dracaena. 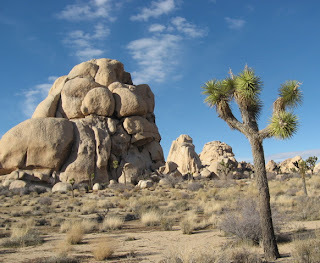 As we drove further still, we began to see extraordinary rock formations and larger Joshua Trees. We stopped to hike in the Hidden Valley area amid more stunning rock and mature trees. 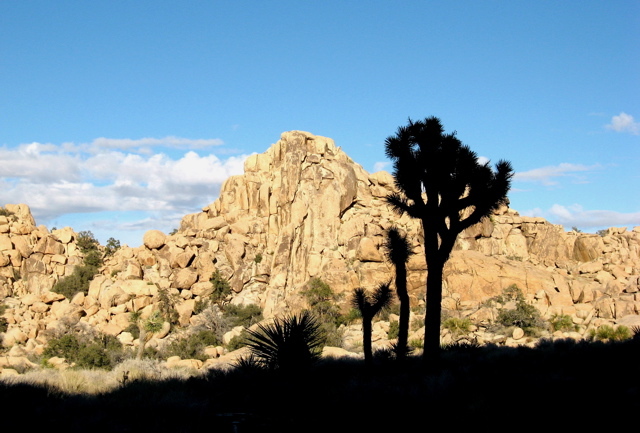 Here you see four sizes of Joshua Trees silhouetted against the blue sky and rock. Of course, Joshua Trees don't grow in Seattle, but plant people like me are curious. I wanted to know more about these trees after our day in the park. So I looked them up. As it happens, they are related to a plant that we see often in Seattle. The flower stalk in the photo below offers a hint. 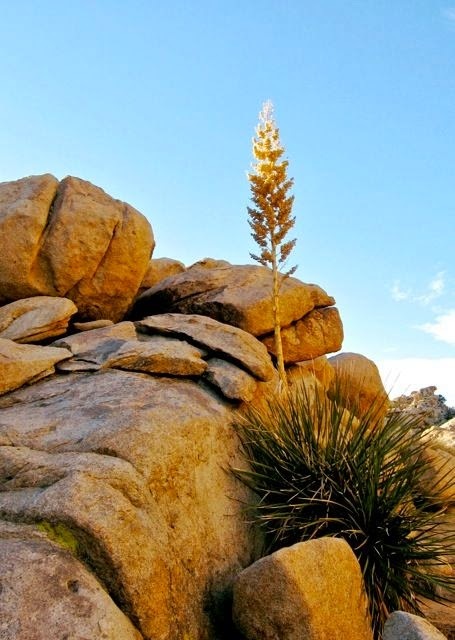 Joshua Trees are in the Yucca family (Y. brevifolia) and they are related to those spiky plants that we see all over the city (Y. filimentosa) that sport 4-7' tall spikes of creamy white flowers in spring. Strange as it might seem, an echo of the dessert blooms right here in our own front yards. I love this quote. The only thing I would change is that I would replace the word "December" with the word "winter." Winter is that quiet, gestational season when we gardeners take stock of our gardens and make plans for the coming year. While our gardens sleep, we dream. Fortunately, we folks in the Pacific Northwest have more than just magazines and seed catalogs to inspire our dreams. We have the Northwest Flower and Garden Show coming our way, February 23-27, at the Washington State Convention Center in downtown Seattle. One of the largest of its kind in the US, this show features over 20 spectacular display gardens, more than 300 exhibitors in its Market Place, and offers an outstanding roster of free gardening seminars presented by gardening experts. For complete information, visit the Northwest Flower and Garden Show website. While you are there, buy your tickets online -- and save $4!